Many people visit Iceland for two reasons: the amazing landscapes and the northern lights. Problem is, tourists in Iceland have taken on the terrible habit of searching for northern lights while driving and it’s been the reason behind several road accidents in the country; you’re not supposed to be looking at the sky, no matter how pretty it is, when you’re operating a vehicle. 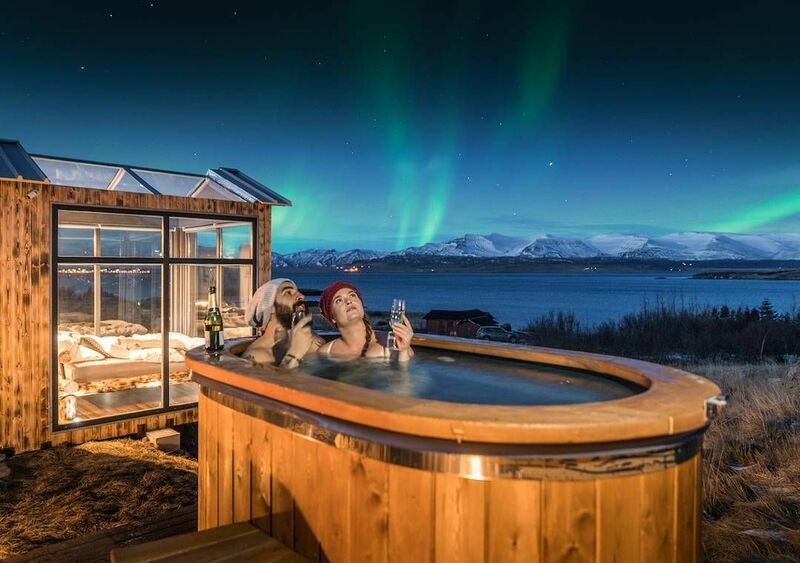 If you really want to see the aurora borealis, there’s a safer and much more comfortable solution for you: the Panorama Glass Lodge. 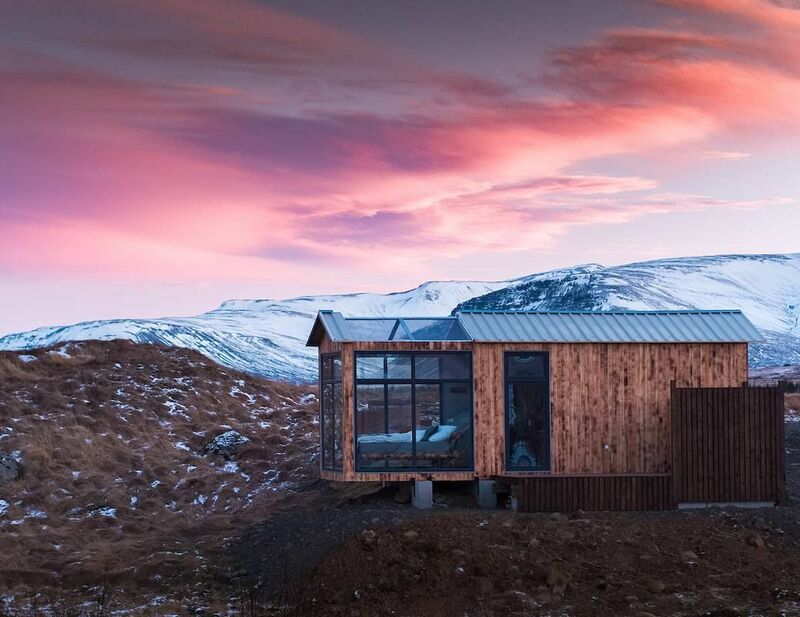 The Panorama Glass Lodge is a fancy wood and glass cabin located in Mofellsbær, in the west of the country, only a 30-minute drive from Reykjavík. 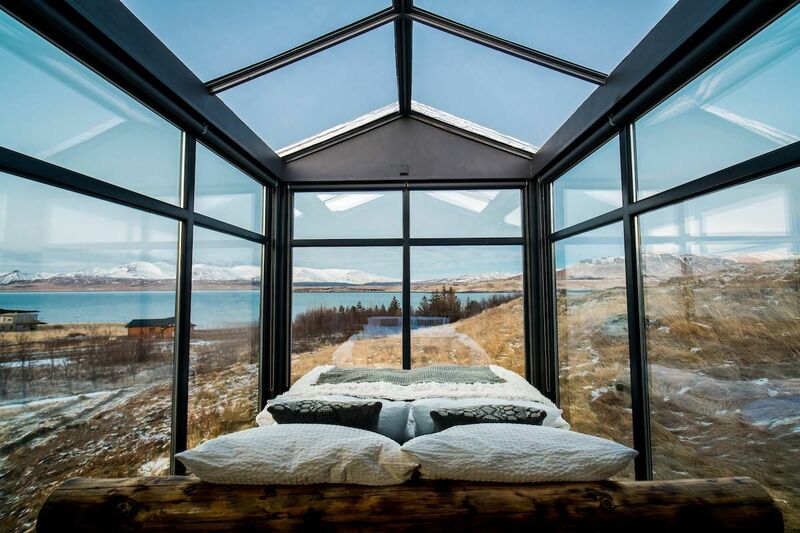 The bedroom is entirely made of glass (ceiling included) so that you can lie in bed, all warm and cozy, and look at the northern lights and the gorgeous view of the nearby fjord and mountains. The area is remote so there won’t be any light pollution getting in your way and no nosy neighbors. The cabin also has a small kitchen, a bathroom, and a dining space, but we can’t imagine anyone spending time in those rooms when the sleeping quarters is so spectacular and there’s a hot tub right out the door. Just take the complimentary coffee, tea, and basic food in bed. There’s WiFi available, but instead of spending your time Instagramming, we would suggest you just stop trying to make your friends green with envy and take in the beauty of nature that’s right in front of you. If you unplug and look hard enough, you may even be able to spot whales or seals in the fjord. 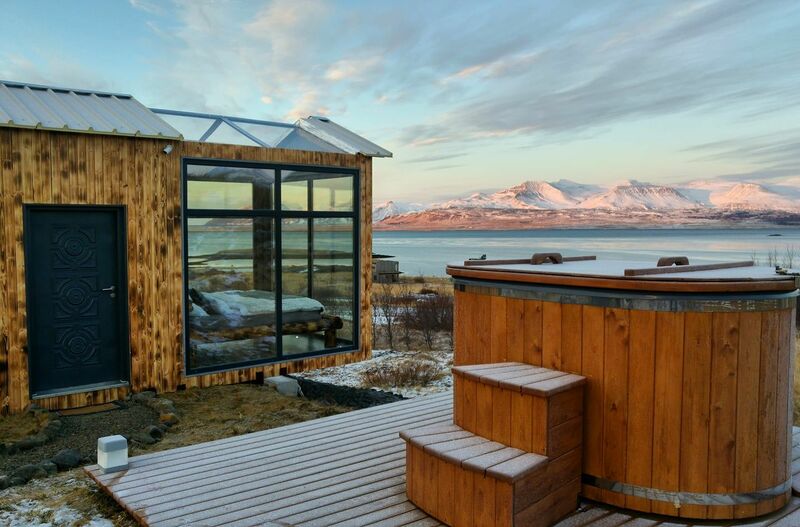 You need to stay a minimum of two nights in the cabin (price starts at 430 USD per night). 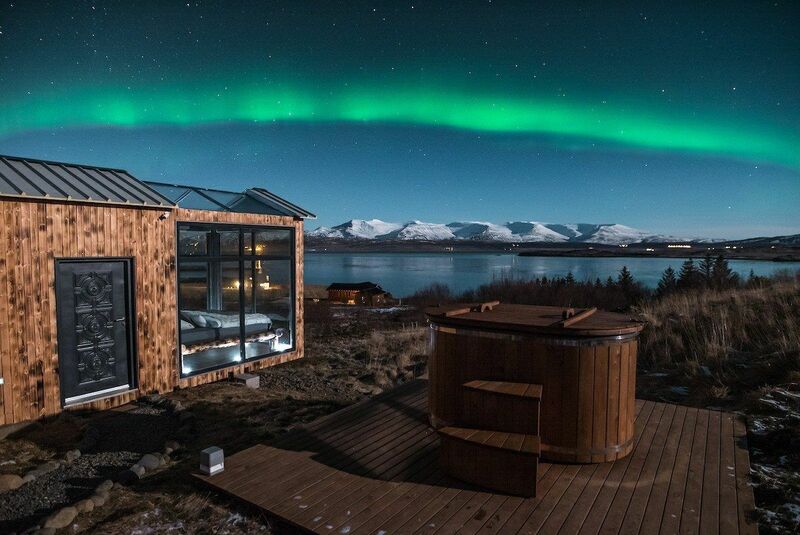 The best time of the year to see the northern lights in Iceland is between late August and mid-April, so get booking.